A major portion of Plato is devoted to the management of cross-references. Plato cross references are bi-directional: this means they can be followed forwards and backwards. This feature allows you to view complex relationships between objects in your databases. 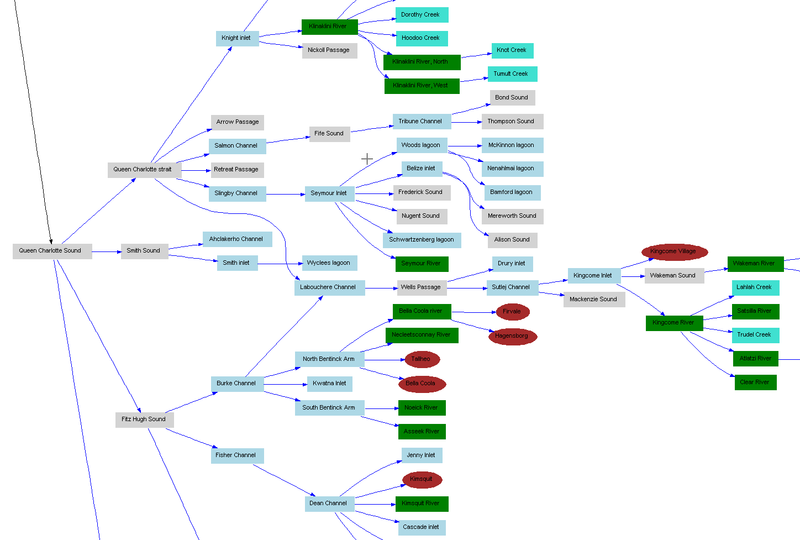 In databases with thousands of cross references, it can even display relationships you didn't know were there! Plato cross references are also interactive. When you click on a cross reference in the display below, for instance, you will get a new display based on the new point of reference. 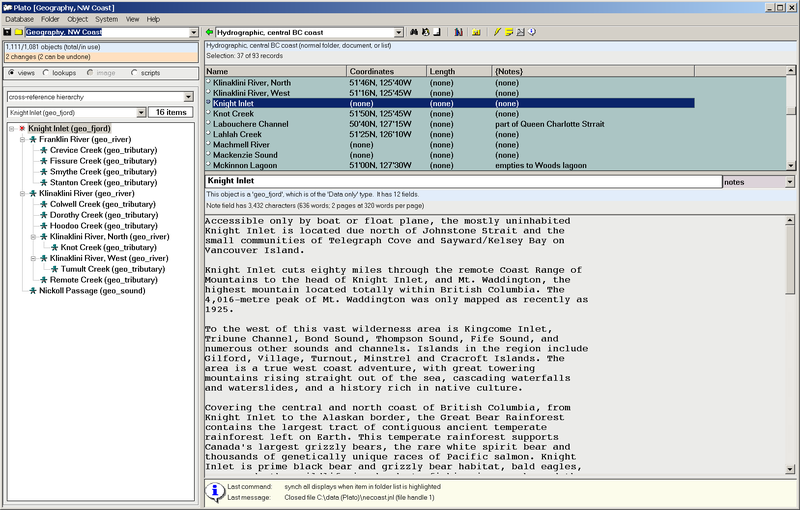 This screenshot displays a view from a database containing geographical features of the British Columbia coast in Canada. The selected object is Knight Inlet, a large, remote fjord midway up the coast. In the view/lookup pane to the left, cross references are displayed. Here the cross references have been filtered to display only 'hydrographic chains,' and so we see Knight Inlet in relation to the hydrographic features that it is connected to. We see in this view that two rivers and an ocean passage are connected to Knight Inlet, and that it in turn is connected to a larger ocean strait. Plato can make use of external applications to display cross references in different formats. The screenshot below shows the Knight Inlet relationships exported in the Graphviz 'dot' format and displayed in the ZGR viewer. Plato can also export cross references in an indented plain text format used by some outlining and mind-mapping applications. 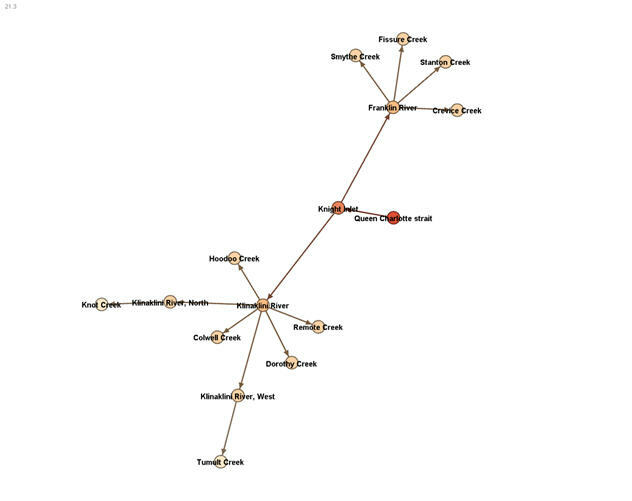 The screenshot above shows the Knight Inlet relationships exported in the Graphviz 'dot' format and displayed in the Gephi viewer.